Last year, the American Red Cross in Greater New York joined with the FDNY, Mayor de Blasio, Speaker Viverito and New York City Council Members to launch the #GetAlarmedNYC Campaign, the most ambitious smoke detector campaign in the country. The campaign has a goal of installing up to 100,000 smoke alarms across New York City. The reason is simple: Smoke Alarms Save Lives! #GetAlarmedNYC, which will run for two years, targets communities with a history of fires or fire deaths in the five boroughs of New York. Since the campaign launched in the second half of 2015, Red Cross volunteers have installed thousands of free smoke alarms in all five boroughs. The majority of these lifesaving devices were installed during large-scale community events in Bushwick, Brooklyn on October 24; in the Highbridge section of the Bronx on November 14; and in Jackson Heights, Queens on December 5. Red Cross volunteers are scheduled to visit Harlem on January 9 and West Brighton, Staten Island on February 6. For this campaign, Kidde has donated the state-of-the-art combination smoke/carbon monoxide alarms with built-in sealed batteries that will last for 10 years. Funds for the program are being provided by the City Council, the FDNY Foundation and Red Cross donors. The key to success in this campaign is the hard work that the trained and dedicated Red Cross volunteers do. 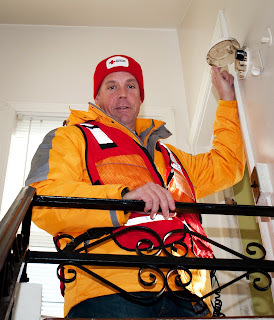 They are the ones installing the alarms in homes and apartments and providing important fire education training and educational materials to residents. On a large-scale installation day, 20 or more teams of 2 or 3 Red Cross volunteers each fan out across a neighborhood. The teams first visit the residences that previously requested an installation. Appointments can be requested by calling 311, 877-RED CROSS or visiting our website, www.redcross.org/GetAlarmedNYC. 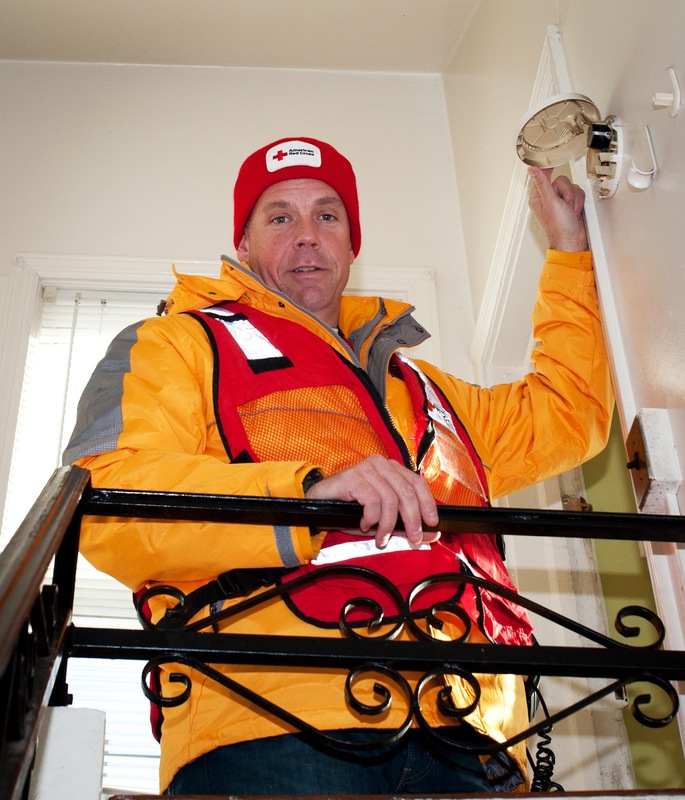 When a Red Cross volunteer arrives at a home, he or she assesses fire risks in the house or apartment, tests existing alarms, replaces batteries if necessary and installs new Kidde alarms as needed. In a small apartment, one or two alarms are usually adequate; in larger homes, more alarms may be required. Once the installations are complete, the volunteers distribute fire safety materials and assist residents in completing home fire escape plans. While some teams are completing installations, other teams canvas the neighborhood and follow up on leads provided by residents. Usually, once a resident sees how simple and effective installations are, word spreads quickly in the neighborhood and other neighbors and friends request installations. In addition, the Red Cross often works with local groups, churches, elected officials, community leaders, building superintendents and property owner associations to generate leads. In short, every fire alarm installed is a potential life saving device! Help us save lives by volunteering for the #GetAlarmedNYC campaign in your community. Harlem (Manhattan): Saturday, January 9, 9:00 a.m. – 4:00 p.m.
West Brighton (Staten Island): Saturday, February 6, 9:00 a.m. - 4:00 p.m.
Bed-Sty (Brooklyn): Saturday, March 5, 9:00 a.m. - 4:00 p.m. Port Richmond (Staten Island): Saturday, March 19, 9:00 a.m. - 4:00 p.m.
St. Albans (Queens): Saturday, April 16, 9:00 a.m. - 4:00 p.m.
Melrose (Bronx): Saturday, April 30, 9:00 a.m. - 4:00 p.m.
Washington Heights (Manhattan): Saturday, May 14, 9:00 a.m. - 4:00 p.m.